I love Google Drive. Specifically, I love Google Docs. It gives me what I always wanted. A word processor on demand, whenever, wherever I need it. As long as I'm near a browser. On a PC connected to the Internet. Both of which is becoming more common by the day. To tell the truth, I never really pushed Google Docs. I never really asked too much out of it because I never really needed more than a simple word processor. Have you ever been to a Microsoft Word class where they say that 90% of Microsoft Word users never really use more than 30% of it features. I'm one of those 10% of Microsoft Word users. There is not much I haven't done on Word. Frames. Pictures. Multiple Columns. Sections. Cross-references like footnotes and endnotes. Renumbering pages. 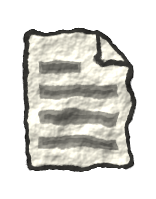 Hierarchical documents, where a document is made of many documents that other people are writing. I've even done some marcos and VBA. Did you know that holding SHIFT and selecting text with a mouse will select a square block of text, not lines of text. Did you also know that you could set the background of the editing areas to blue. It was a feature to make WordPrefect users feel at home. Despite all that, I've never asked a lot from Google Docs. I did ask much perhaps because I was still in awe of the ability to have word processor in a browser. A browser! That changed recently when I did a proposal for a client. Working with other people in different geographical locations in a single document is what Google Docs was made for. No sending files back and forth. No problems of updating different versions of files. Once the document proposal largely completed, it was time to prepare the document to present to the client. The group had been careful to use the proper headings at the correct level. So all that was left was to generate the table of contents and the cover page. I had resigned to the fact that the cover page was going to be in another document. This was because I couldn't put my head around how reset page numbers in Google Docs. Then, when I went ahead and inserted the table of content, the table of contents didn't have any page numbers. Now that feels like a cop-out. Normally, when you insert a table of contents, you do so in a section before the actual document. At the end of the section, you'd reset the page numbers so that the first page of the actual document is 1. Therefore, the table of contents would show the 'correct' page number. I think the developers of Google Docs haven't figured out how to do that yet. So they 'neutered' the table of contents to not show the page numbers. It might have worked for a single page html page but not for a full blown document. But I was in a forgiving mood and decided to let some else give it a try. I exported/downloaded the proposal as a .ODT LibreOffice file. But when I tried to insert the Table of Contents, it came out as all the headings were on the same level. The headings looked like they were exported correctly but upon closer inspection, the status bar said that the lines with the headings were correct but the outline numbering level was 10. 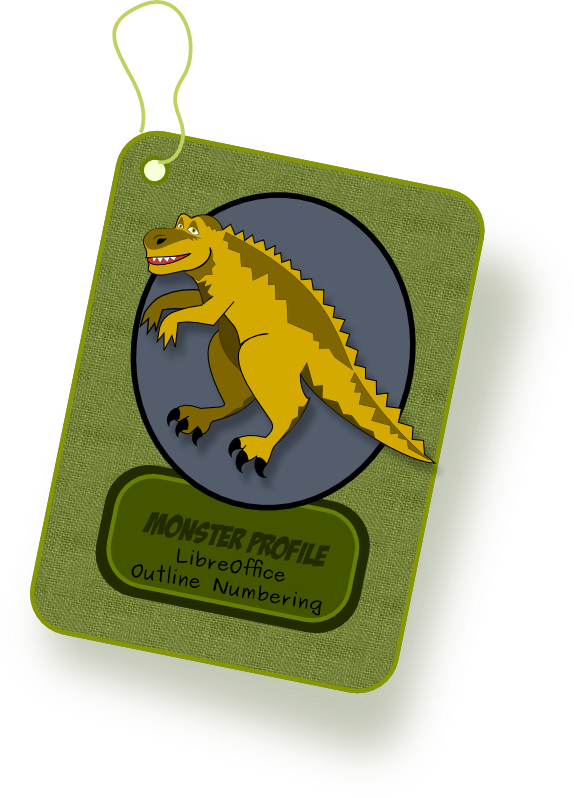 It seems like the Outline Numbering monster that has been plaguing LibreOffice since the days of StartOffice, had reared it's ugly head again. This is going to sound strange to MS Word users. In MS Word the Heading levels and Outline levels are the same. Try the Outline view, it's the best. But for some strange reason that nobody has laid claim to, StarOffice split the concept between outline numbering and heading numbering. Essentially, to create heading with numbers you could either add an automated number list to a heading OR set the heading to an outline numbering level. Both achieves the same effect and look exactly the same. Except that outline numbering also could control Outline levels but a numbered list on a Heading does not. The only place to see this difference is to use the Navigator in StarOffice. Headings with numbered lists do not appear in the Navigator but Headings with Outline numbering do. After a long while I figured how to fix it and not mess up the page numbers at the same time. But this post has gone long. Look out for the solution in full soon.